I had some business to attend to in Tel Aviv, an no, it was not related to photography. The good thing, as you will see, is that I never leave without my cameras. The guy I was supposed to meet on Tuesday forgot to tell me about the elections so around 11 am on that day I realized I’ve got nothing to do in Tel Aviv for the next 24 hours. I decided to drive to Jerusalem and spend the day walking in the old city. I got there precisely at 1 pm. While having lunch on the terrace of my favorite place in Jerusalem I decided to give it a shot and try to get in at the event organized by Likud Party in Tel Aviv, late that night in expectation of the first exit pols televised results. To this day I don’t understand how that happened. From that initial thought and 3 phone-calls later, without a GPO card, I was expected in Tel Aviv to attend the event. The exit polls where scheduled for 10 pm and Bibi was expected to make his appearance no sooner than midnight. But I knew I have to be there no later than 8 if I really want to get in. And so I did. After shooting for 2 hours in Jerusalem I drove back to Tel Aviv. Only after my cameras where sniffed by a nice dog I realized that the impossible is about to be possible. Here are a few images I took that day, both in Jerusalem and later in Tel Aviv. 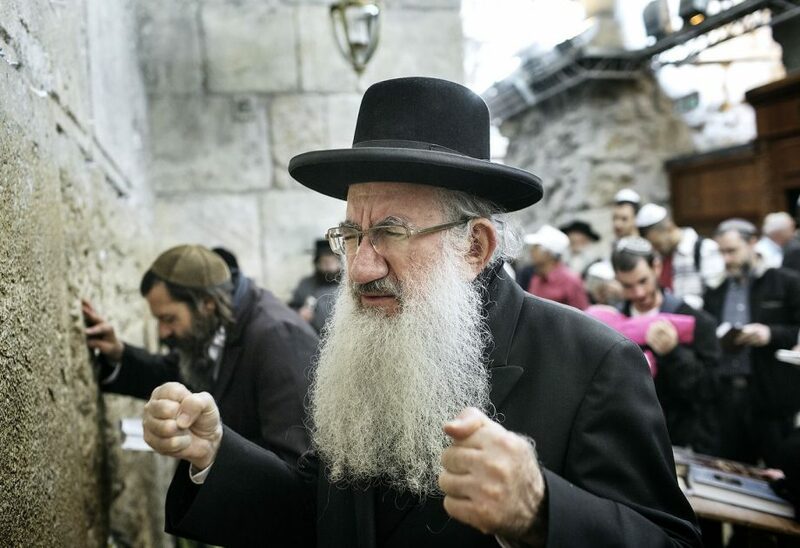 Israeli religious jew clenches his fists while praying facing the Western Wall on a sunny elections day in Jerusalem, Israel, 22 January 2013. Israelis are voting in elections that are likely to deliver a handy victory for Prime Minister Benjamin Netanyahu’s Likud-Beteinu alliance amid high turnout. Approximately 5.6 million Israelis are eligible to vote and have to choose from more than 30 lists of parties in the proportional elections. 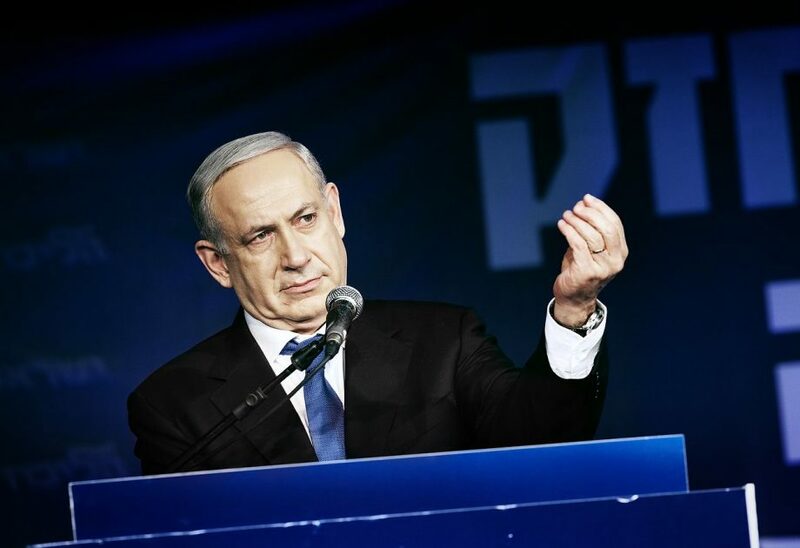 Israeli Prime Minister Benjamin Netanyahu gestures to supporters as he delivers his acceptance speech in Tel Aviv after his victory in the Israeli general elections early 23 January 2013. Netanyahu’s combined Likud-Yisael Beitenu party won some 31 seats in the next Knesset (Parliament). 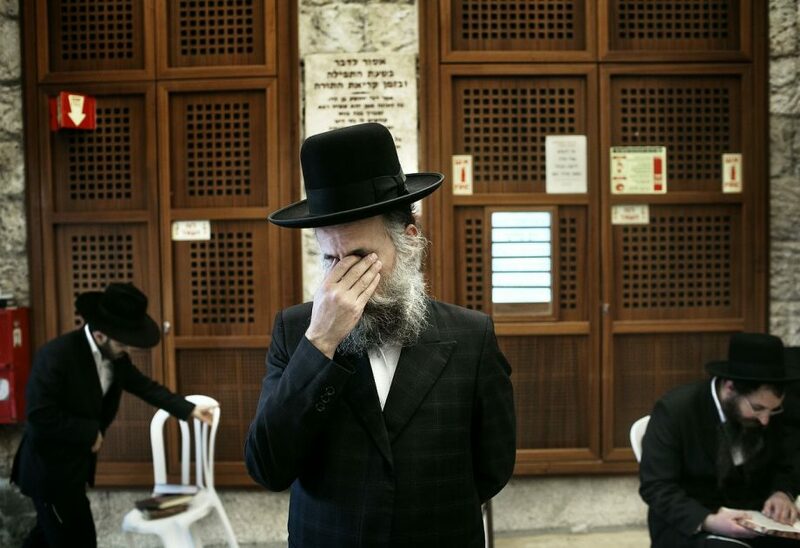 Israeli religious jew pray facing the Western Wall on a sunny elections day in Jerusalem, Israel, 22 January 2013. Israelis are voting in elections that are likely to deliver a handy victory for Prime Minister Benjamin Netanyahu’s Likud-Beteinu alliance amid high turnout. Approximately 5.6 million Israelis are eligible to vote and have to choose from more than 30 lists of parties in the proportional elections.